Make this Glorious Indian Instant Pot Butter Chicken now! Creamy Hearty Butter Chicken bursting with layers of sweet-savory-spiced-tangy-umami flavors. You’ll fall madly in love with this glorious buttery sauce. Satisfyingly easy chicken dinner! Love me some glorious curry sauce!! 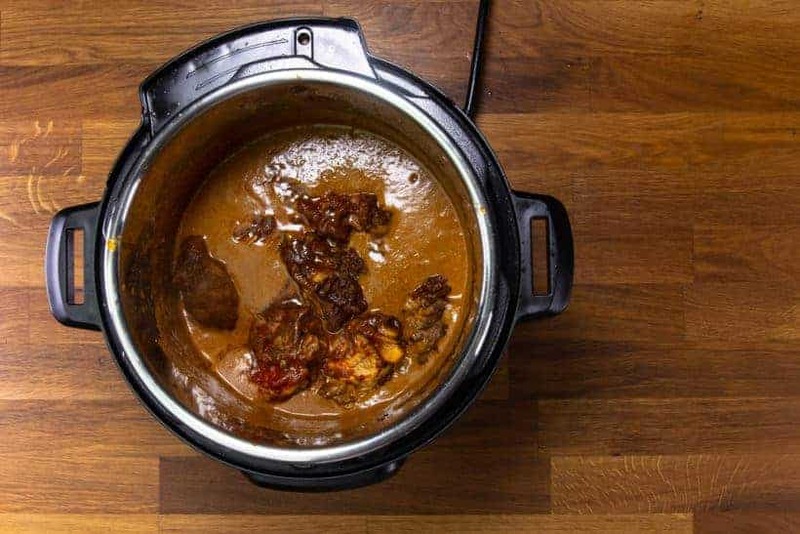 It’s interesting to taste how each culture adapts their curries in a unique way to suit local tastes & ingredients. I simply love how the complex combinations of spices, herbs, and ingredients create such a deep explosion of layers of flavors, plus the creamy, thick & rich curry gravy. And Butter Chicken is simply a “love at first bite”. Is Butter Chicken an actual Indian dish? Yes! 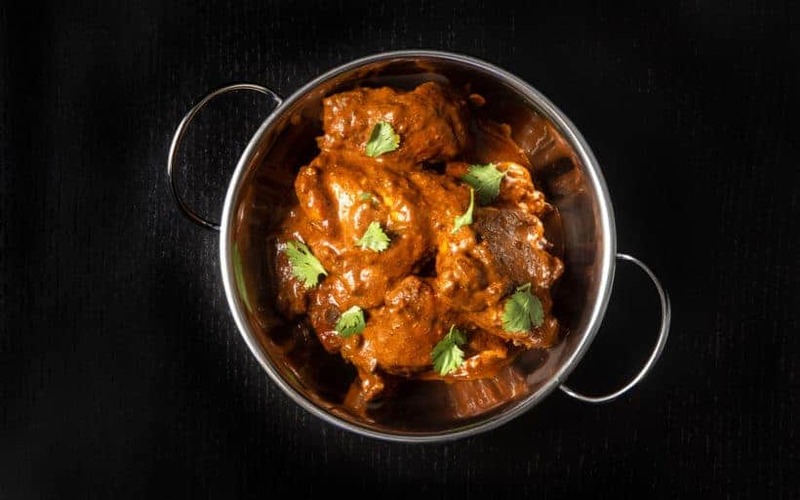 Butter Chicken (aka murgh makhani) actually originated from northern India, created by Kundan Lal Gujral in 1948.
Who knew this mild butter-based curry sauce could capture the hearts of many and became a gateway to the delicious depths of Indian cuisine?! Slightly sweet, savory, mildly spiced, tangy, tomatoey, buttery, wholesome, hearty, satisfying, creamy, comforting, thick, soup-like textured sauce. oh, my heavenly goooood!! 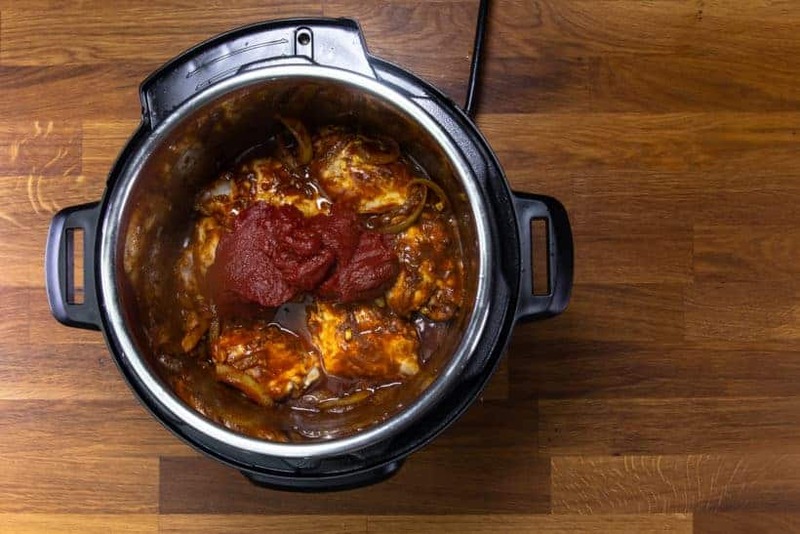 Time to cook this Glorious Butter Chicken in Instant Pot Pressure Cooker! 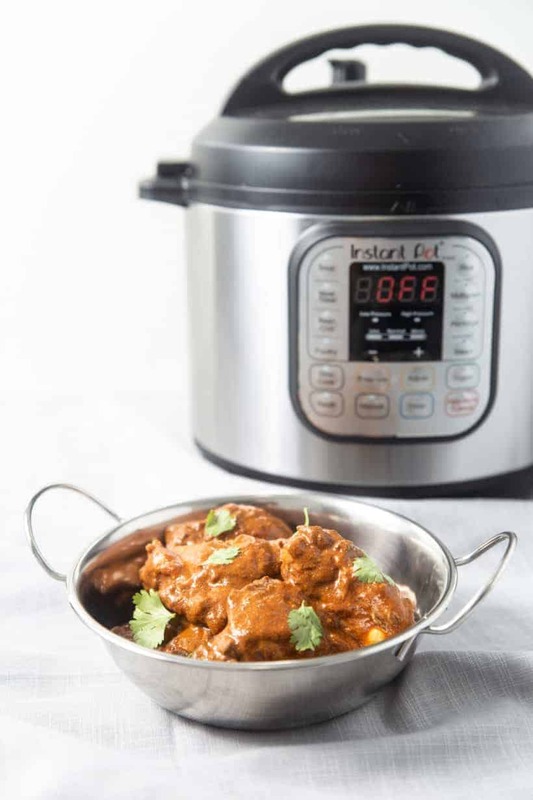 Make this Glorious Indian Instant Pot Butter Chicken now! Creamy Hearty Butter Chicken burst with layers of flavors. You won't be able to stop slurping the glorious rich buttery sauce. Satisfyingly easy chicken dinner. 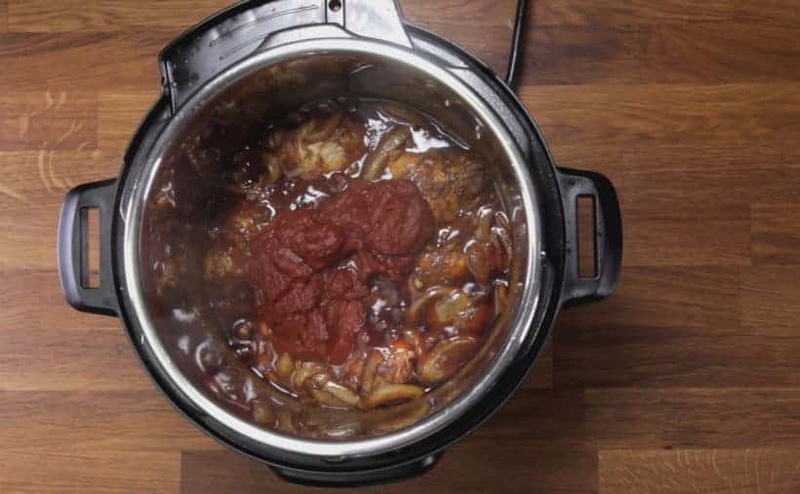 Brown Chicken Thighs: Heat up Instant Pot using Sauté More function. Wait until it says HOT (~8 mins). Pat dry the skinless chicken thighs, then season one side with some kosher salt. Add 2 tbsp (25g) ghee or unsalted butter. Then, brown 2 sides of the chicken thighs in Instant Pot for 3 minutes per side. Set aside the browned chicken thighs. 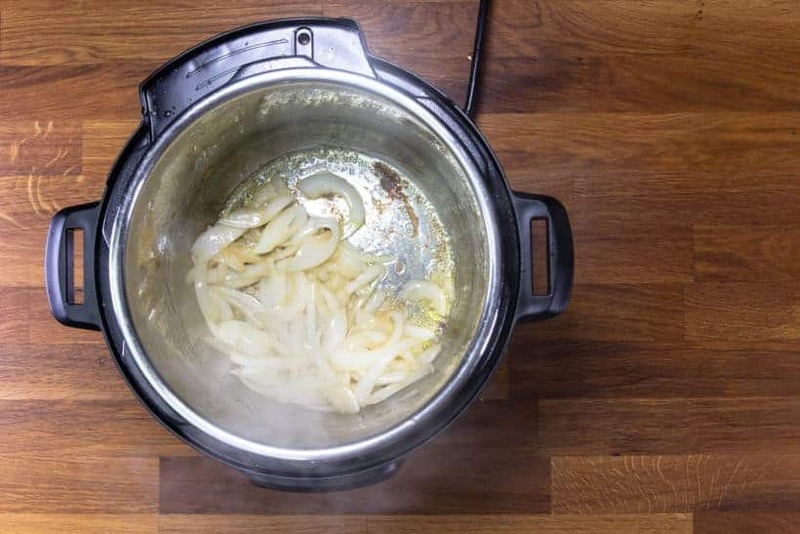 Saute Onions and Spices: Add sliced onions in Instant Pot, and saute for 4 minutes. Add minced ginger, garlic, 2 tbsp (24g) garam masala, 2 tbsp (24g) sugar, 3 tbsp (22g) paprika, 1 tsp (2g) ground turmeric, 1 ¼ tsp (2.5g) ground coriander, and 1 ¼ tsp (2.5g) ground cumin. Then, saute for another minute. Deglaze Instant Pot: Pour in ½ cup (125ml) unsalted chicken stock, then completely deglaze the bottom of the pot. Turn off the heat briefly. Pressure Cook Butter Chicken: Add 3 tbsp (45ml) regular soy sauce, browned chicken thighs (& the meat juice! ), then add freshly squeezed lemon juice from half a lemon (20ml) in Instant Pot. Layer 1 cup (225g) tomato paste on top and do not mix! Pressure Cook at High Pressure for 6 minutes*, then 10 minutes Natural Release. Remove the lid carefully and give it a few gentle stirs so the tomato paste infuses into the sauce. Make Butter Chicken Sauce: Set aside the chicken thighs in a serving bowl. Mix in 1 ½ cup (370g) plain yogurt and ⅓ cup (83ml) heavy cream. 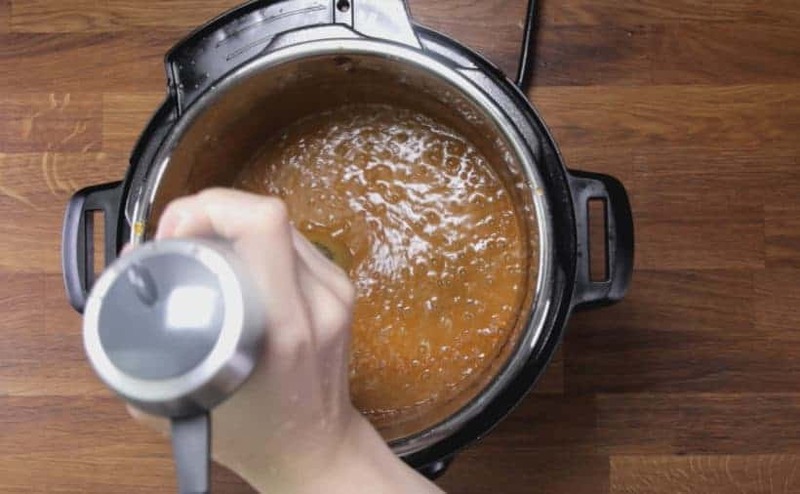 For smoother butter chicken sauce, blend sauce with an immersion blender. Taste and adjust the seasoning with more salt, sugar, lemon juice, and yogurt. For Reference: we added 3 pinches of salt + a tablespoon lemon juice. Don’t be intimidated! This is a Super Easy dish to put together. 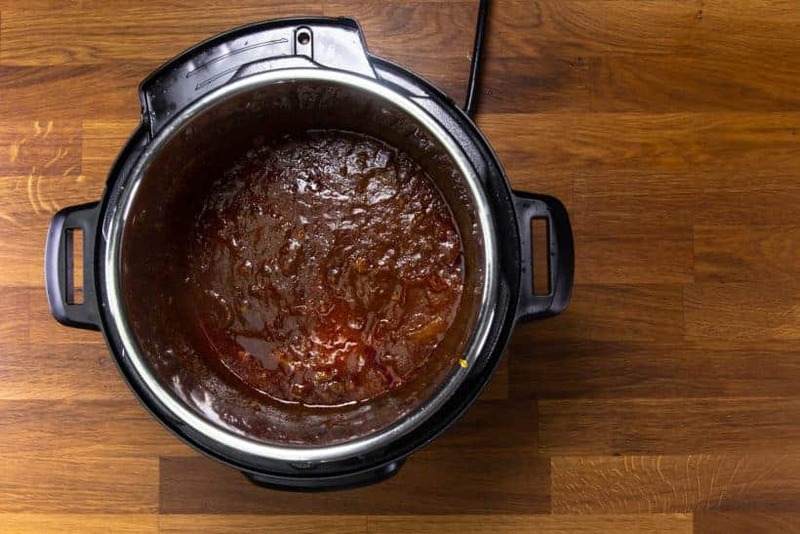 First, heat up Instant Pot Pressure Cooker using Sauté More function. Pat dry the skinless chicken thighs, then season one side with some kosher salt. Add 2 tbsp (25g) ghee or unsalted butter. Then, brown 2 sides of the chicken thighs in Instant Pot for 3 minutes per side. Set aside the browned chicken thighs. 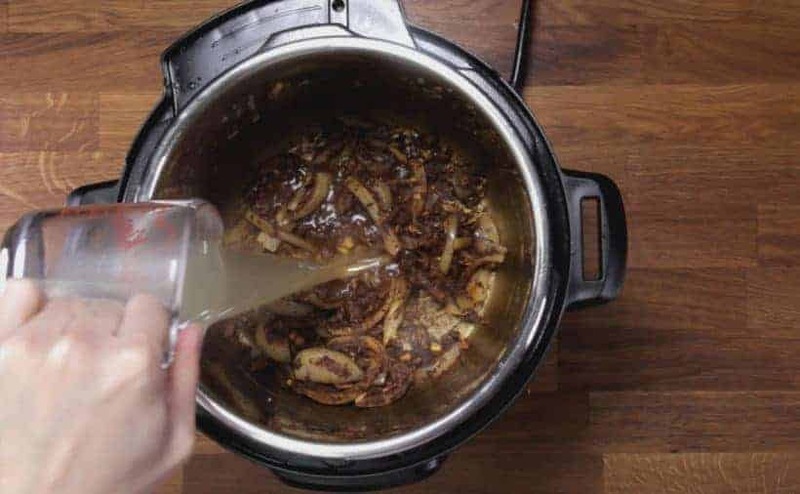 Add sliced onions in Instant Pot, and saute for 4 minutes. Add minced ginger, garlic, 2 tbsp (24g) garam masala, 2 tbsp (24g) sugar, 3 tbsp (22g) paprika, 1 tsp (2g) ground turmeric, 1 ¼ tsp (2.5g) ground coriander, and 1 ¼ tsp (2.5g) ground cumin. Then, saute for another minute. Pour in ½ cup (125ml) unsalted chicken stock, then completely deglaze the bottom of the pot with a wooden spoon. Turn off the heat briefly. Add in 3 tbsp (45ml) regular soy sauce. Then, add browned chicken thighs (and the meat juice!) back in the Instant Pot. Add in freshly squeezed lemon juice from half a lemon (20ml). Layer 1 cup (225g) tomato paste on top and do not mix! Leave it as is, as shown in below photo. Close lid and turn Venting Knob to the Sealing position. 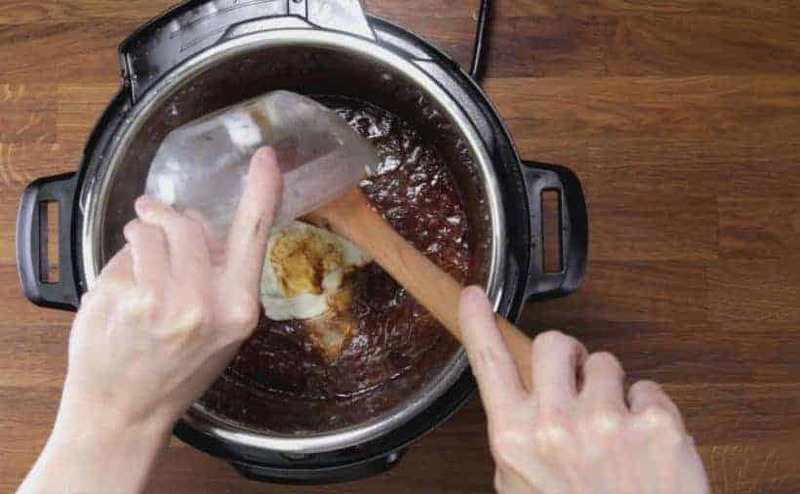 Pressure Cooking Method: Pressure Cook at High Pressure for 6 minutes*, then 10 minutes Natural Release. 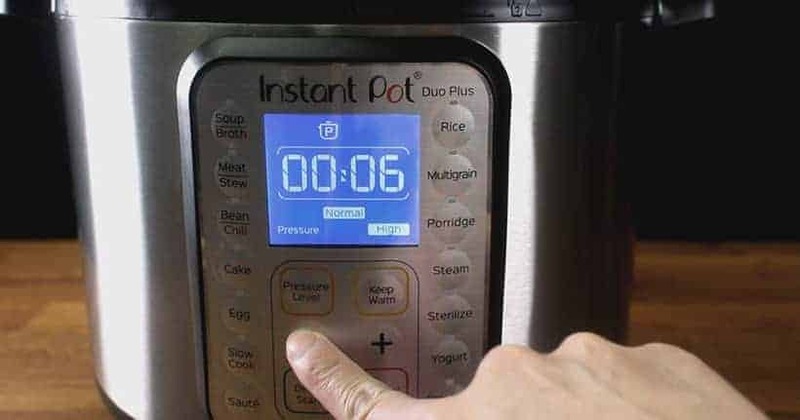 After 10 minutes, release the remaining pressure by turning the Venting Knob to Venting position. Remove the lid carefully and give it a few gentle stirs so the tomato paste infuses into the sauce (as shown in below photo). Set aside the chicken thighs in a serving bowl. Mix in 1 ½ cup (370g) plain yogurt and ⅓ cup (83ml) heavy cream. If you want a smoother butter chicken sauce, you can blend it with an immersion blender. Taste and adjust the seasoning with more salt, sugar, lemon juice, and yogurt. For Reference: we added 3 pinches of salt + a tablespoon lemon juice. 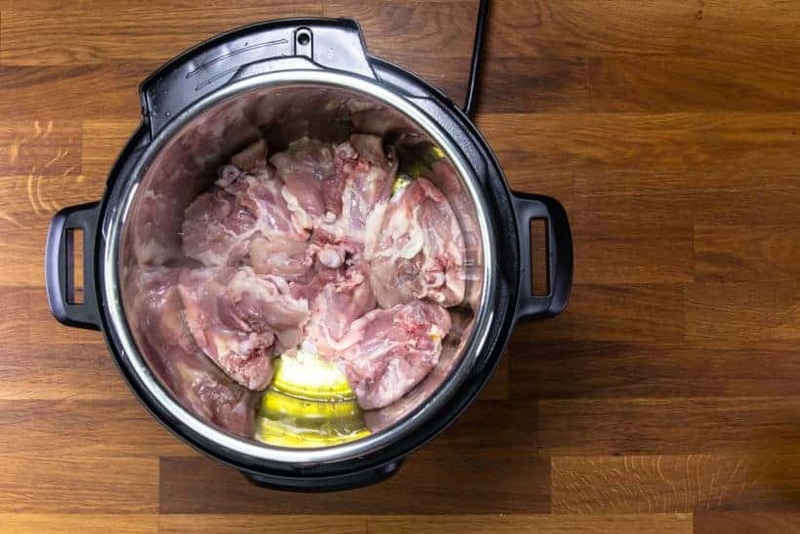 Add chicken thighs back in the Instant Pot and give them a quick mix. Garnish with cilantro and serve with your favorite side dishes. This was a hit! I used to use a different recipe where the chicken was marinated overnight then grilled, sauce would be made separately and add the chicken pieces back in. While that was phenomenal, it was not a weeknight meal for sure. This recipe is every bit as good minus the prep work and time commitment! I made a few changes: used only 1 Tbsp of sugar, and used 1 cup of cicken stock to deglaze, used 1 small can of costco tomato paste (about half a cup), and cut down on the amount of yogurt a bit. Used the PC brand Garam Masala bought from Superstore. There was a lot of yummy sauce to go with rice. Thanks so much for this awesome recipe (among all others that I’ve tried here). If you love butter chickn, this is a must try! What type of yogurt should I use? Just regular full fat yogurt? Not greek style yogurt right? This makes a lot of sauce. Next time i might cut down on the yogurt or add more chicken. This was a home run in my house. HI! WOW. This was so delicious. Our family loves this flavor profile and this way outdid the store-bought simmer sauces I typically buy to try to achieve these flavors at home. I will buy those no longer!! The only adjustment I had to make was that I got a burn notice twice and had to add more chicken stock. No biggie though, the sauce was just fine. Will definitely make this again! Love your recipes but this just wasn’t our families favourite. Too much tomato paste and soya sauce I think. Not enough spice either. I made your butter chicken last night, awesome! The only changes I made was extra yogurt and no cream (to much lactose in cream for me) plus no cilantro garnish. I used to buy a premade package of dried spiced but I liked making it from scratch and found it tasted better. Thanks for adding a new recipe to my rotation. How much more youlgurtndid you use? Flavour! OMG! loved this. my instant pot kept going “burn” even though I put in almost a cup of chicken stock. I will try this one again and report back. I have been eating this for three days and simply want MOooorrrrreee! 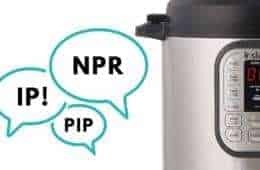 The newer batch of Instant Pot seems to be more sensitive with the burn error. I have made this so many times – it is absolutely delicious- moist tasty chicken, just the right amount of spices – our No. 1 Butter Chicken recipe. It also gives a nice large amount of sauce which we like. 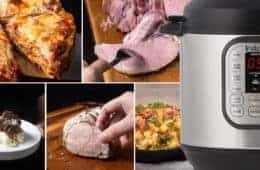 I have to say that all of your recipes are great but I have much more success if I use boneless skinless chicken thighs as opposed to breasts – we find chicken breasts tend to cook a little stringy in the instant pot – may be just me and I am open to any suggestions to overcome this. Keep up your good work – I love your emails and look forward to each and every one – you are both so “sunny”. Recipe great but where is prompt for a simple print of this recipe? There is a print button on the recipe card header. You guys did it again!! This recipe is going to my recipe hall of fame!! Thank you for this scrumptious recipe. I’ve tried a few of your recipes and they’re all delicious – I particularly like the depth of flavour and umami taste. 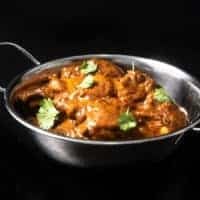 For this butter chicken recipe, if I want to use chicken breasts chopped up, and if I want the meat cooked so it is almost falling apart, how long would you suggest I cook it for? Thank you! Fabulous recipe. Followed it almost exactly (used only 6 oz tomato paste – one little can). And used Tandori Marsala spice instead of garam marsala spice. Loved it and will for sure make it again, often. This is such a delicious recipe! 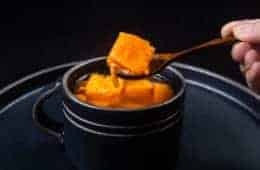 I would love to hear your suggestions for modifying the recipe for a paneer butter masala! Many thanks! Thank you for your kind words & question. I have added it to our long to-make list. I made this last night. 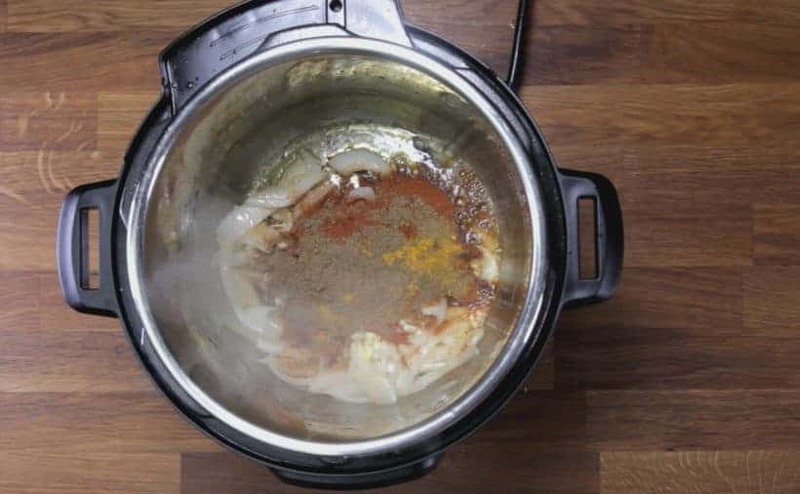 The Instant Pot didn’t get to pressure, which I hadn’t realised, until there was no natural release. The bottom of the pot had scorched too. I transferred to stove top and finished it off. I make many Butter Chicken variants and the taste of this is amazing (as all of A&J recipes are). One of the chicken breast’s was hard, inedible – which was weird. This is the first time in 2 years my pot didn’t come to pressure. I will use more liquid next time. Was the chicken breast super dry? Hello! This looks great. Is it possible to substitute more heavy cream for the yogurt? If not, what would be a glod substitute? Thank you for your question. The yogurt adds a lot to the butter chicken so I can’t really think of a good enough substitute to recommend. Hi Nicole, I used good quality coconut milk (Thai Kitchen) and it was lovely. Hope this helps. Looks delicious! Can leftovers be frozen successfully? Just the two of us and I love having things I the freezer to pull out quickly. Thank you so for your kind words on the recipe! Followed the recipe exactly and was suspicious of the thickness of the cooking fluids before pressure cooking. Sure enough the dreaded BURN message came up using our Ultra 6 quart IP. Stopped the cooking process, aded another half cup of chicken broth and everything turned out great. Seems that the Ultra IP is more sensitive, so will use more liquids next time than asked for. A another great recipe. Thanks you Amy and Jacky. So happy to hear from you again 🙂 Hope you are having a great weekend. Made it for dinner tonight, so flavorful and delicious! A definite make again! I’m really excited to try this recipe! Also, I am new to the Instapot so still on a major learning curve. 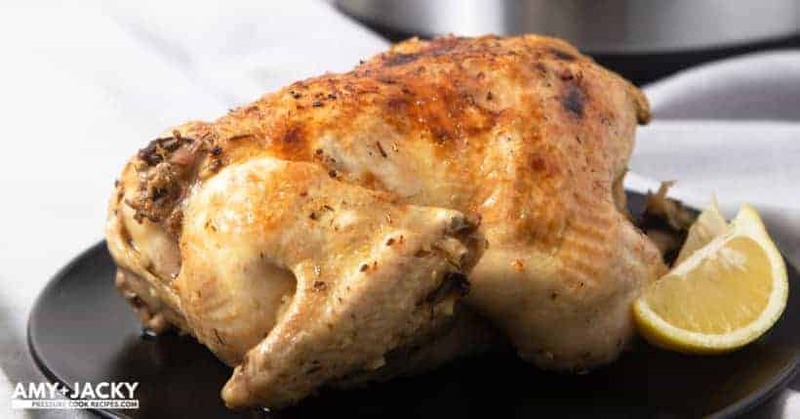 If I double the chicken amount in this recipe, do I need to double all the other ingredients? Also, how long do I need to cook everything? Thanks! Thank you for your kind words & question. You can 1.5x the rest of the ingredients. The cooking time will stay the same. Another Amy + Jacky recipe that will become a staple at our house! I could live on the sauce alone — yum!!! Thank you so much for your kind words, love, and support! This is a better-than-restaurant in NA butter chicken recipe. Thanks. The only problem we have is we got the burn sign both times we made it. We follow the recipe to the T. The 2nd time we even skipped browning the chicken (I know not good for flavour) and made sure that the pot is scrapped when deglazing…with no avail. Any idea what else could be the problem? Late reply! If the burn signal comes on, I recommend layer all the thicker ingredients on a concentrated spot on top (without mixing them in). I just followed your directions exactly except I didn’t brown my chicken thighs as they were frozen. It came out fantastic. So delicious. 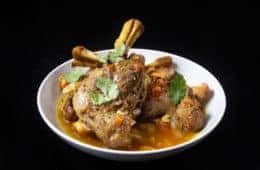 I seem going to double this recipe but have a couple of questions. 1. Boneless chicken thighs – leave whole or cut into pieces? 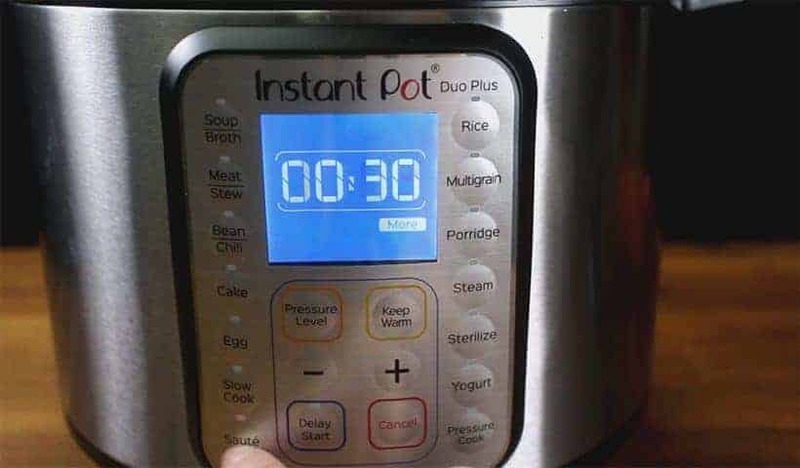 Do I need to adjust cooking time from 5 minutes since I’m doubling? 2. Six qt. or 8 qt.? I have both. Looks like 6qt. should be adequate for doubled recipe, what do you think? Can’t wait to try…. Thanks! My husband and I tried this recipe tonight, and after we both tasted it, we said it was definitely going into our dinner rotation. We are testing recipes to see what we like so that we can save money and eat healthier. There is so much flavor in this dish without being packed with unhealthy ingredients. We just want to cook real food, and this butter chicken is AMAZING. – Used only 4 skinless boneless thighs because that’s what was in our Costco package. Could definitely use 2 packages because there was a ton of sauce! – Used 2 onions because we love onion! It provided an extra contrast in the sauce. – Used 1/4 teaspoon ground ginger based on conversions I had seen online since it’s easier for us to keep that on hand than actual ginger. – Used 1 cup chicken stock because we wanted to make sure there was enough liquid for deglazing. We didn’t reduce it at the end either as suggested in the comment replies, and it was still the perfect consistency for us. – Used 6 oz tomato paste because that’s how much was in one can from Costco. – Used 1 tablespoon lime juice because we didn’t have lemons or lemon juice. I thought I was going to need the immersion blender because I love smooth and creamy sauces, but for us, there was no need! One less thing to wash, haha. We also made 1 cup of dry rice and there’s still a ton more sauce so when we have leftovers, we will have to make more rice or buy some naan bread. If we finished all the chicken, I think we’d just pan fry some shrimp the next day and use that as our protein. Thanks for this wonderful, tasty recipe! Could I use 2% milk in place of heavy cream? If so, does the amount stay the same? Love your recipes! Thank you for your question. It will be less creamy with 2% milk, but it will still be fine. Hi Amy and Jacky. Should we use chicken thighs with or without bones? How should I adjust the time? Thank you for your question. We used chicken thighs with bones. Boneless chicken thighs will also work fine. You will want to reduce the cooking time by a minute. Thank you for your question. 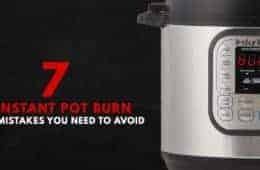 Some of the newer Instant Pot models are more sensitive with the burn notice. If that is the case, I recommend using 1 cup of broth and reduce the sauce in the end. Can you tell me what is the model and which button you used? Thank you so much! Thank you for the fantastic recipes. I’ve made several of them, including the butter chicken, and they always turn out great. I especially like all of the Chinese recipes since they remind me of home. I have a mini IP so how should the recipe be adjusted? Thanks. Thank you for your question. No adjustment is needed for this recipe. I am new to using my Instant Pot but have been loving cooking with it so far. You have great recipes on your site and appreciate the step by step directions and the pictures. I had some troubles with this particular recipe. I follow all the instructions but the pot kept displaying the “burn” notice so had to to prematurely cancel the cooking time. Any advice as to what I did wrong? Here is a few possibility I can think of. 2) Make sure to layer the thicker ingredients (tomato paste) on top without mixing them in. First time with Butter chicken. Have no idea what it should? taste like, but this certainly was good. Lightly spicy, complex flavors, Not noticeably “curry” tasting. I served it with brown rice (also done in the IP) and whole green beans. Took more like an hour even though I practice ‘mis en place’. Next time I think I’ll try with homemade yogurt too. Used boneless, skinless chicken thighs. Even my picky teenage daughter loves it. She’s used to Indian Restaurant dishes, so I’m pleased and impressed! This was the third recipe I tried with my new pot. And also my first with meat. So delicious! Thank you so much!! Next time I’ll try making the rice using the pot in pot method with the chicken. I’ve only made instant rice in the microwave until now. Do I need to start buying long grain rice for my IP? Long grain rice will be ideal as it will taste better hehe. Delicious! Best butter chicken recipe I’ve tried. I used boneless and skinless chicken breasts (browned it first), then I cut it up into bite sized pieces when I was ready to pressure cook. Unfortunately, I got the “burn” message as the IP was coming to pressure. It’s probably my fault because I didn’t ensure it was fully deglazed. I found that there was very little liquid though and was afraid that I would get the burn message. Is this correct? There shouldn’t be too much liquid when we cook the chicken? I’m wondering if it’s becsuse I’m using an 8 quart IP? Either way, excellent recipe! I just transferred the butter chicken to the stove top because I didn’t want to cook with the burnt spices at the bottom. I didn’t use any heavy cream because I’m on a low fat diet, and reduced the amount of sugar by half. I also used lower fat yogurt. Hope you had a wonderful Christmas Holiday 🙂 Thank you so much for your kind words. The liquid will be enough as more moisture will be released from the chicken as well. Another winning recipe! This is the fourth recipe of yours I have tried and it came out wonderful. Your chili is our favorite and I have made at least once a week since finding your website. However, the last time I made the chili and last night making the butter chicken I got the ‘burn’ message on my pot’s display. My food had scorched in the bottom. I ended up having to stir the ingredients even though the recipe called for the tomato paste to sit on top. Is there a fix for this to keep it from happening? 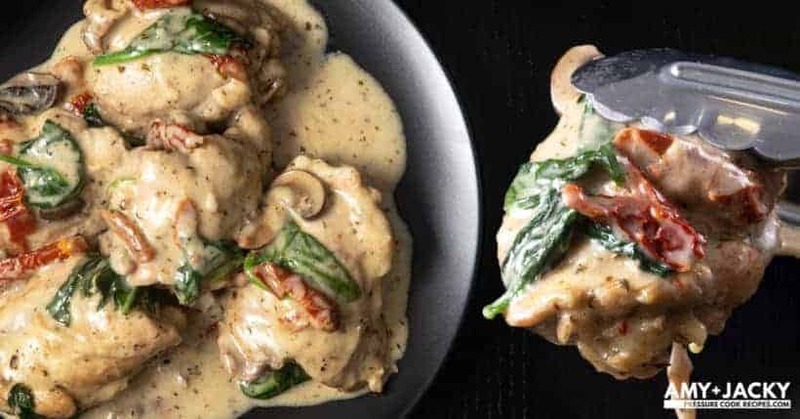 Also, any plans for a Chicken Marsala recipe? The first thing I will check is to fully deglaze the bottom of the pot before pressure cooking. I recommend browning the frozen thighs as best as you can. The rest of the recipe will be the same. I will probably add 1 minute pressure cooking time just to be safe. First time I’ve made this curry and it was amazing! Family all loved it. Definitely a keeper. I made the recipe according to your steps except for pressure cooking the chicken. I prepared two huge chicken breasts with a spice rub and cooked them according to your Zero Minute method, which was perfect. I then cubed them and added them to the mix. I made the curry spices and garam masala from scratch, toasting the seeds and grinding them. It was perfect and delicious. 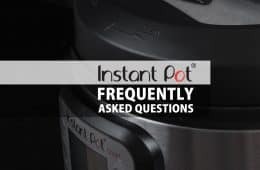 I have tried several of your instant pot recipes and find them all to be delicious. This one ne is especially tasty. I also appreciate the detailed instructions and photos. 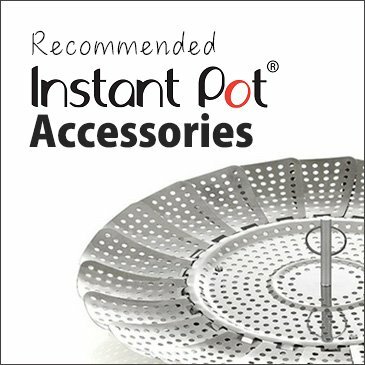 You have made intestate pot cooking easy, fun and delicious. Thanks. This buttery chicken dish was absolutely incredible! The blend of the spices used made this one of the best chicken dishes I’ve ever made. This will be a regular dish on the monthly menu at our house!! So happy to hear you enjoyed the dish! I doubled the recipe and had it for 2 meals (back to back company)…Everyone love it! Have fun cooking & have a wonderful week! Delicious! We made it with skinless boneless chicken breasts, and this was by far the best Indian food we’ve ever made at home. Thank you!! Have fun cooking & have a wonderful weekend! Hi there, Amy and Jacky! I made this recipe tonight and it was soooo good! Very tasty and the sauce was so smooth and flavorful because I used the immersion blender. My husband loved it. It made so much sauce that I put the left over sauce in a freezer bag to use another time. Hope it freezes well. Thanks for taking the time to test and post such wonderful recipes! We somehow missed this comment until now. 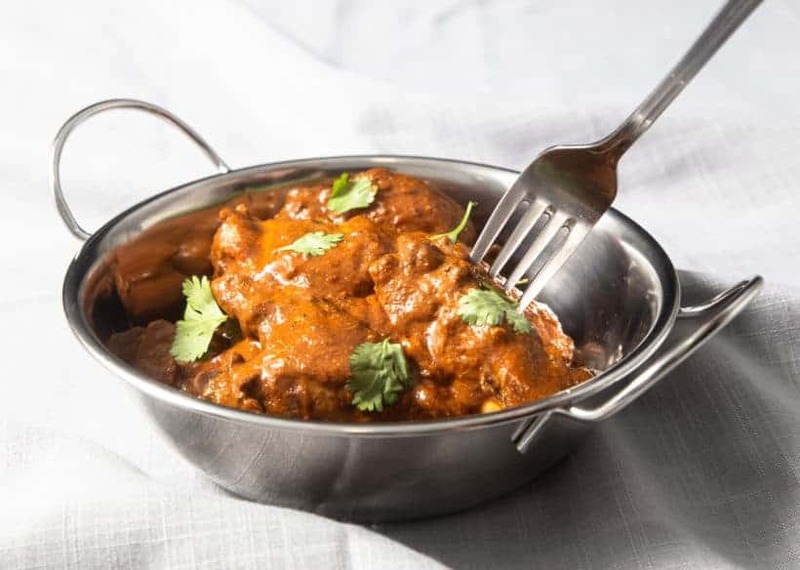 The sauce/gravy of this unique butter chicken is one the very best my wife and I have ever made! It was truly awesome. Layer upon layer of flavor roll out as you eat this. Bravo! We appreciate your kindness and support! Made this tonight and it was fantastic! Definitely going in our favorite recipes book. Lots of flavor! My chinese exchange student said, “It has strong flavor. It’s delicious”. It was a hit with him. I made this dish with legs but only had about 6 small legs. I cut the sauce in half. and there was still an abundance of sauce. I decided to strip the meat from the bones and then cooked up some chicken breast to add to the sauce, as well. I ended up with a generous entree and I only prepared 1/2 of the original sauce. It’s a generous recipe. So now I wonder, would I lose a lot of the wonderful flavor it I didn’t cook the chicken in the Ip when I make the sauce? Maybe I should cook boneless breasts in the sauce? I enjoyed having the pieces of chicken bathed in the creamy sauce over rice and peas (gotta get some veggies in there!). Very tasty! . So happy to hear your student enjoyed the dish as well! Cooking the boneless breasts in the sauce will enhance the flavor, but since it is a strong sauce, the different will be quite subtle. I was so very happy to see a butter chicken recipe pop up, it’s one of those dishes I make whenever I need a pick me up. Your version is so much better than any of the other IP recipes that I have tried and it will be the only one I use going forward. Fantastic work as always! Any chance you might tackle a vindaloo in the future? Take care! Happy to hear you enjoyed our version!! Thank you for the suggestions. I have added vindaloo to our long to-make list. I personally don’t like thigh meat.. I have tried and tried to like it but I just don’t. Can I do the same with chicken breast? If so what cook time do you rec. Yes, I know that thigh meat is more flavorful but it’s textural for me not about taste. Can’t wait to make this and bring it to the office for all to try. There is a cooking time chart on the recipe that includes the timing for chicken breast as well. SORRY! I completely blocked out “bone-IN’ in your reply. I’ll be more careful. Thanks you for all you do. OMG! Last weak we made your curry and this weekend the Butter Chicken. Both of these recipes are amazing. They taste like they have cooked all day. Thank you for sharing these recipes with us. Happy to hear you enjoy both the dishes. Thanks for the quick response. 6 minutes for boneless, skinless thighs, but 5 minutes for boneless thighs in the chart below (is that with skin on?). Does the skin make a 1-minute difference? Hi there! The cooking time chart is specific according to the chicken part that is used, but the lead-in sentence says “Pressure Cook at High Pressure for 6 minutes*”. What is the 6 minutes for? The 6 minutes is for skinless, bone-in chicken thighs. Browning will make the sauce more yummy. For frozen chicken thighs, it will be harder to brown. I will add an extra to each side. Will this take less time with boneless chicken thighs? If so, what is the adjustment? Thanks for all your recipes. I haven’t tried one that we didn’t love yet! Boneless chicken thighs will take a minute less! Hello, this recipe looks great, thank you. I would like to know if it can be doubled as is. I’m expecting 6 dinner guest with a hearty appetite. The recipe can be doubled and I would recommend reducing the cooking time by a minute. Please taste and adjust the yogurt and cream accordingly. Hello Amy, the recipe turned out great and there is no need to reduce the time. We all loved it. Thanks again. Do you think you could substitute sour cream for the yogurt? I’m doing the keto diet and trying to convert this recipe. Thanks! This really sounds like a wonderful recipe, great umami! My only question is regarding the tomato paste. Did you actually mean 1 cup of paste (which sounds like an awful lot!) or tomato sauce? I want to wait until I hear from you before I actually try this. By the way, the addition of soy sauce really does seem to add an extra layer of flavors! hehe, it is 1 cup of tomato paste. It will be tomatoey and will be balanced out by the cream and yogurt at the end. Hi! Would any plain yogurt such as Greek yogurt work? Greek yogurt will work as well. Please taste and adjust accordingly. Can you elaborate on the pot in pot method to add the rice? Would they be cooked at the same time? Any details you can provide on this would be truly appreciated. Yes, they will be cooked at the same time. 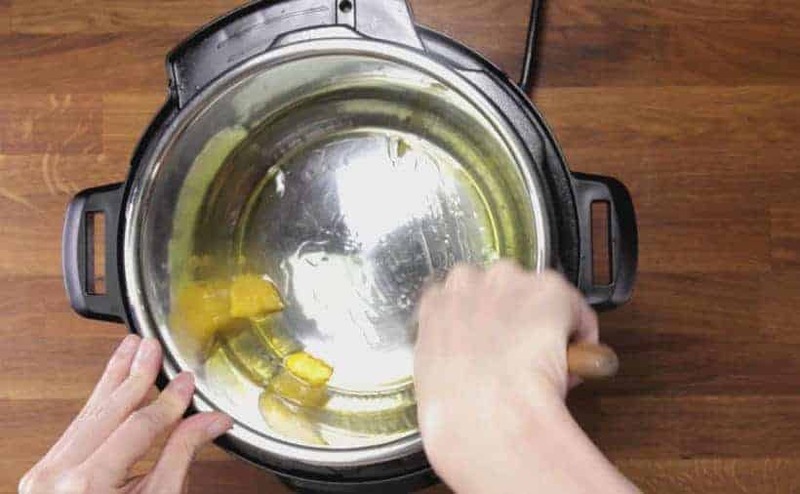 Please see this recipe for the Pot in Pot Method. Half & Half can be used as a healthier substitute for heavy cream. The heavy cream will make the sauce smoother. If you don’t need that, you can omit it or add in more yogurt. I’ve been waiting for Amy+Jacky to publish a Butter Chicken recipe so I was delighted to see it show up in my Facebook feed. (I’d saved a few others’ recipes but they are all more complicated.) I wasted no time and made it for dinner tonight. It did not disappoint and in fact, IT.IS.FABULOUS!! I served it over brown rice, yum. I did use 2 packages of Costco’s skinless, boneless chicken thighs (cut up) so a little over 2 lbs chicken. There is still plenty of sauce, no problem. I did wonder where/when to add the soy sauce so just stirred it in at the end. Thanks A+J for another tried and tested delicious recipe!! Thank you so much for being so supportive and kind! We truly appreciate it. Please take care and I will see you around! Please tell me that the inclusion of soy sauce in the ingredients list is a mistake. Yikes! Not a mistake. I personally think it is a tasty addition to the Butter chicken. Give it a try and see if it can remove the ik from the Yikes and turn it into a Yes! 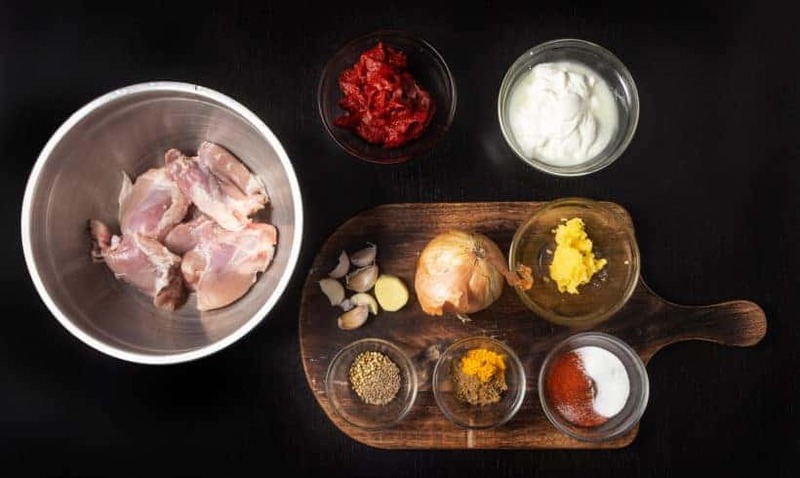 I’ve been seeing recipes for butter chicken pop up on the web a lot lately but have yet to give it a try…your recipe makes it look so easy and delicious that I think I’ll give it a shot for dinner next week! I’d like to serve it with rice, any tips on making this recipe work using the pot-in-pot method? No adjustment is needed! This recipe will work with pot in pot rice.